I love the costume part of the Halloween season it's my favorite part of Fall. It even trumps the chocolate and apple cider, and I do love my apple cider! So I thought I would post a few of my favorite costumes I have run across on the world wide web. I mostly love DIY costumes only because they take more thought and creative juices, but I will admit some of the store bought costumes can be cute these days! Love this do it yourself tutorial from Traci Hines, and her use of sequins for scales is pure genius. She posted a video and step by step directions on the Etsy Blog. 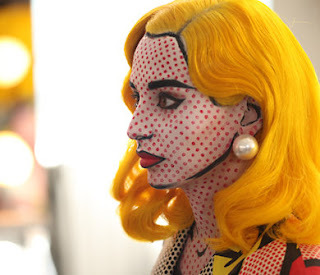 If your looking for last minute costume this would be all to cute. 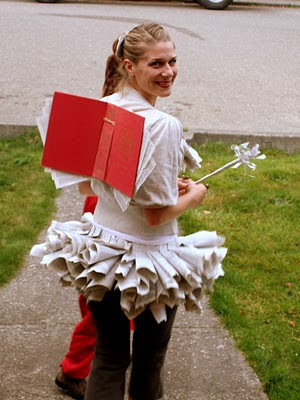 This Book Fairy Costume from Liliedale is the perfect costume for the book lover. The lovely creator of this costume was kind enough to even to give us step by step directions on how to become a Book Fairy on her blog. This is just speechless, and probably extremely time consuming, but this little Comic Book Beauty that was featured on Charmed would be sure to make you the talk of the party. This costume would be a walking talking work of art! Hamburglar super cute costume idea from What I Wore and looks fairly simple to assemble. 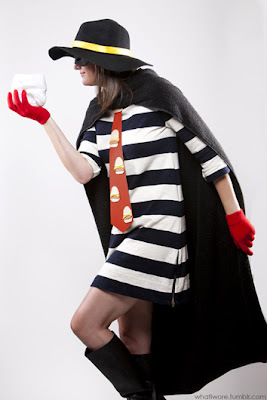 Would be be super cute to put the whole family in McDonald's themed costumes. Oh and P.S. What I Wore has lots more super adorable costume ideas this one was just my fave! LOVE the Book Fairy! Think I found my costume. Thanks! My blog is sort of Halloween related today too. Hope you will stop by.